NorstarOnline.Com: "Nortel Certified" technical expertise in Meridian Norstar & BCM (Business Communications Manager) design, service and maintenance. We still support your old Norstar & BCM (Business Communications Manager). If you are looking for a certified Nortel BCM technician or engineer you've come to the right site! 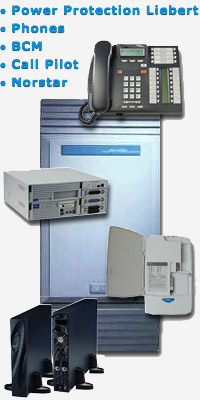 We specialize in Nortel BCM and Nortel systems. Our engineers have Nortel certification in Meridian, BCM and Norstar systems, and you can be sure that the service is quick, accurate and complete. We also provide emergency service for your Nortel BCM and Norstar systems 7/24 in the Southern California area. Nortel's merger with Avaya will not change our Nortel Support Commitments. We still have Nortel BCM & Norstar Systems in stock, with software & replacement parts! We provide VoIP engineering, Cell phone integration with either the BCM or Norstar, and on and Off premise VoIP phones. We guarantee a turn key installation with nothing left out and no surprises. Nortel Messaging, Auto Attendant, call (contact) center, audio and video conference systems, True on-line double converstion power system and everything you need for an eceonomically priced, turn key system! We provide custom jack and cabling services, system backup services, t1/PRI services, Nortel series & tseries phones. Contact us today for a consultation!